Measures: 30" wide x 17" tall x 14" deep. 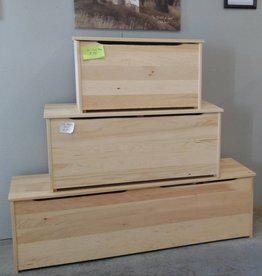 42" Amish-Built pine blanket chest. Also works great as toy box or general storage bench. Please specify Minwax stain color when checking out. 30" Pine box with piano-hinge lift-lid. Can be used as a bench, toy box, blanket chest or more. Please specify Minwax stain color when ordering at checkout. 36" Amish-Built blanket chest. Also works great as toy box or general storage bench. 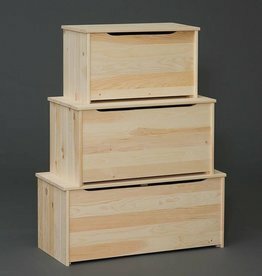 36" Amish-Built blanket chest. Also works great as toy box or general storage bench. Please specify Minwax stain color at checkout. 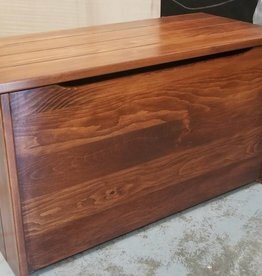 42" Amish-Built blanket chest. Also works great as toy box or general storage bench. 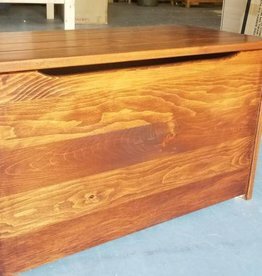 60" Amish-Built pine blanket chest. Also works great as toy box or general storage bench. Please specify Minwax stain color in checkout.